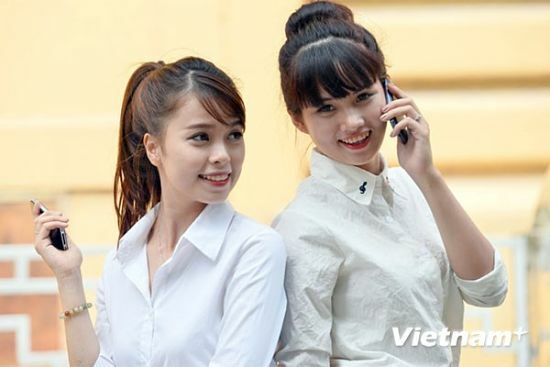 HA NOI (VNS) — Viettel Telecoms Corporation has proposed that the State enact telecom charges that include floor and ceiling prices, while allowing no incentives to newly-established telecoms or small-scale firms. Under its proposal, Viettel has asked the State to limit promotions of all prepaid accounts. The proposal was offered during a meeting yesterday held at the Ministry of Communications and Information (MIC). At the meeting, Hoang Son, deputy director of Viettel, proposed that the government should issue guidelines to allow for new pricing. Specifically, it is proposed that the State will manage telecom charges through enacting ceiling and floor prices. Under this mechanism, telecoms firms will build their charges, which could not be lower than floor prices. Son noted that his company has expanded its business investments abroad. In countries in which 60-70 percent of the population are using mobile phones, they have witnessed healthy competition, such as in Tanzania and Peru. At the same time, Viettel is not permitted to enjoy preferential policies from the State and must follow the same rules as all other telecommunications companies. Concerning the proposal, Phan Tam, Director of the Telecommunications Department under the MIC, said the MIC would take into account the proposal and continue to study and work with telecom businesses to develop and manage telecom charges, in accordance with new policies on managing competition. The Ministry of Information and Communication has compiled a draft circular on the management of telecommunications service charges to replace Circular 02/2007/ TT-MIC. Under current regulations, telecommunications firms have to register their telecoms charges with the MIC. After being considered by the MIC, it will send a written document to allow telecom companies to offer their telecom rates. Son also has asked the State to issue regulations to limit the time of using promotional accounts for pre-paid subscribers. Currently, promotions for pre-paid subscribers are not specified for a fixed period.